The Pentagon insists that it’s not arming the Syrian rebels, merely helping out with the U.S. policy of providing humanitarian aid. But the weapons pipeline that Persian Gulf states have opened to the rebels, with U.S. assistance, could end up flooding the volatile Mideast with small arms, the Pentagon fears. That may not be a hypothetical fear. 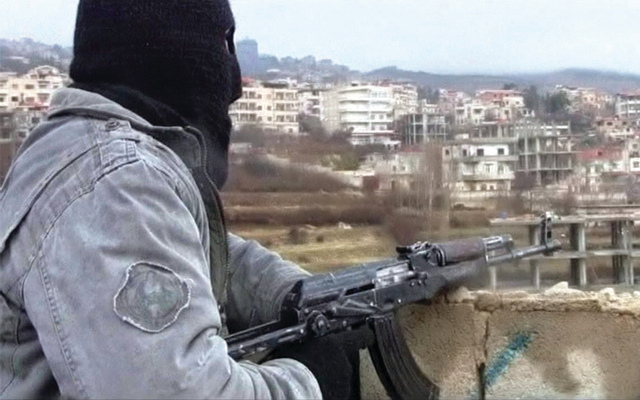 Islamic militant factions within the Syrian rebel coalition appear to be benefiting from the arms pipeline, which runs principally from Saudi Arabia and Qatar. “The opposition groups that are receiving the most of the lethal aid are exactly the ones we don’t want to have it,” an anonymous official told The New York Times on Monday. Word that extremist groups are getting the lion’s share of weapons from the Gulf pipeline strengthens practically every policy argument except Obama’s. Those who want direct U.S. military involvement in Syria could say that a hands-off approach is only allowing jihadis to fill the military vacuum within the rebel ranks. Those who want to keep the U.S. out of the Syrian civil war could say that the U.S. would be irresponsible to risk arming or otherwise benefiting the jihadis. Mitt Romney also thinks Obama’s Syria policy is a failure. But he too has stopped short of calling for the U.S. to arm the Syrian opposition directly. In a speech last week, Romney said Syrian rebels who “share our values” ought to have easier access to weapons for battling Assad, but he did not explain how to identify those rebels. In the meantime, Syrian rebels continue tricking out the weapons they have, such as using digital-camera zoom functions as scopes for machine guns, and training themselves in videos posted to Facebook and YouTube.